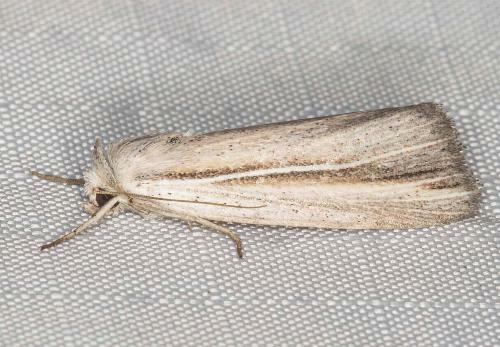 The adult moth of this species has pale brown forewings, each with two white streaks from base to margin. The hindwings are white. The wingspan is about 2 cms. Volume 26 (1902), p. 655.